I just finished a relatively large, 34 inch, saya for a Shinto Bizen blade. Aside from the size, what was unusual about this order was that the owner wanted the first third of the saya covered with same' (rayskin). I completed the saya as I would normally, before cutting away the area to be covered by same'. Above, using masking tape, I mapped out the end of the area to be cut. Below is a view of mouth of the saya with the horn koiguchi removed. Above is a view of the saya after most of the necessary wood has been cut away for the placement of the saya. Notice the masking tape guide. 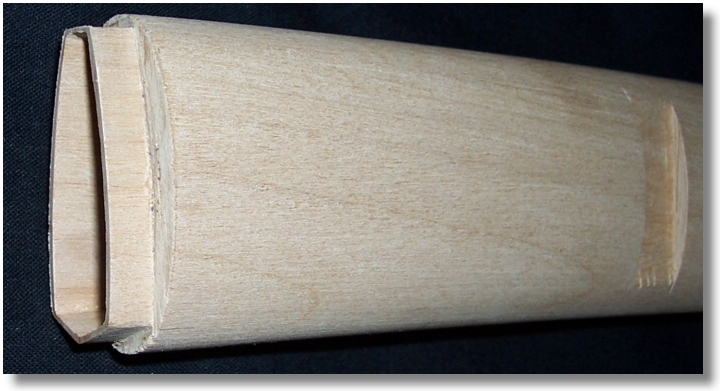 And below is the saya with the applied wet same'. Below is a photo of the finished product, sorry about the quality of the photo, but it should give you at least a general idea of the final out come. Another unique aspect of this order was that the owner didn't want the same' smoothed down, but instead wanted it left relatively rough.